A delicious Middle Eastern dinner (gluten-free falafel!) 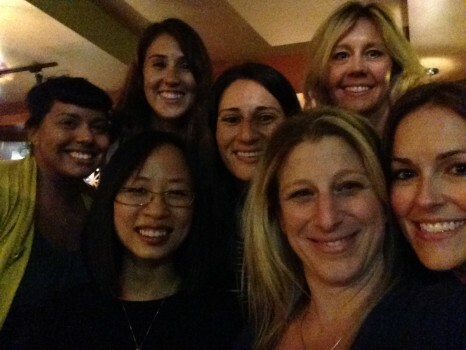 at Tabule during Gluten Freedom Week with a bunch of brilliant gluten-free gals (from left): Urban Acorn Catering‘s Marie Fitrion, Gluten Freedom Week founder Rachael Hunt, Victoria Yeh of GlutenFreeToronto.com, GlutenFreeFind.com‘s Lisa Cantkier, Dine Aware founder Paula Cooper, yours truly, and nutritionist Sarah Maughan. 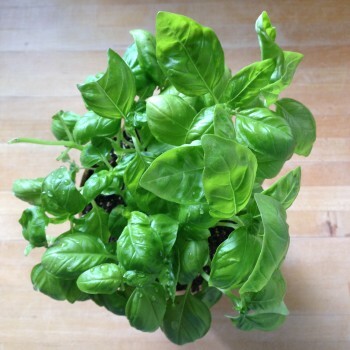 The smell of fresh basil from the farmers’ market. 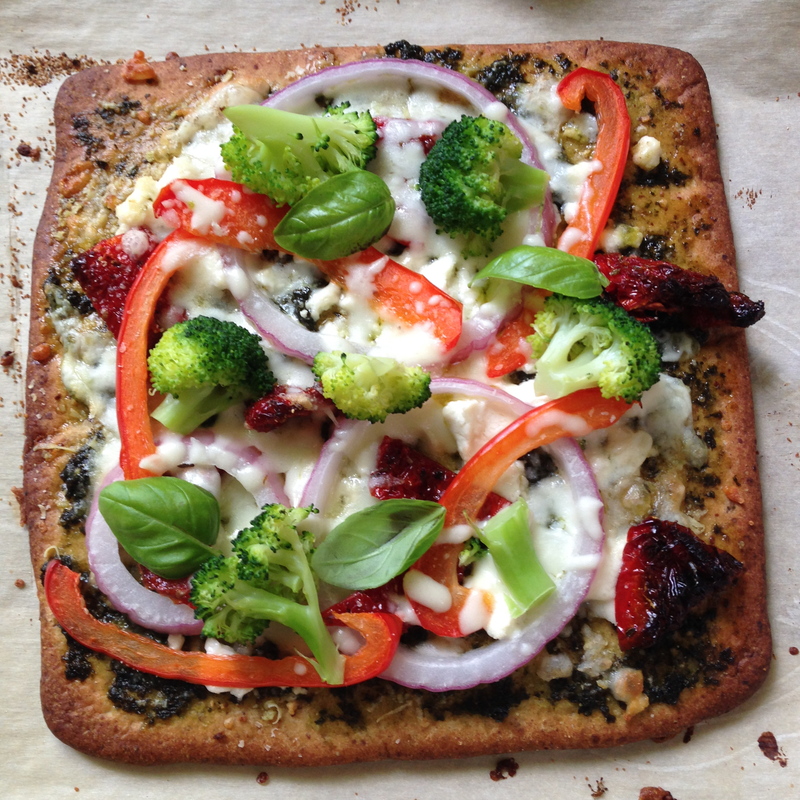 DIY pizza with O’Doughs Flax Pizza Crust topped with pesto, goat cheese, mozzarella, Parmesan, red pepper, broccoli, purple onion, sundried tomatoes and, of course, fresh basil. 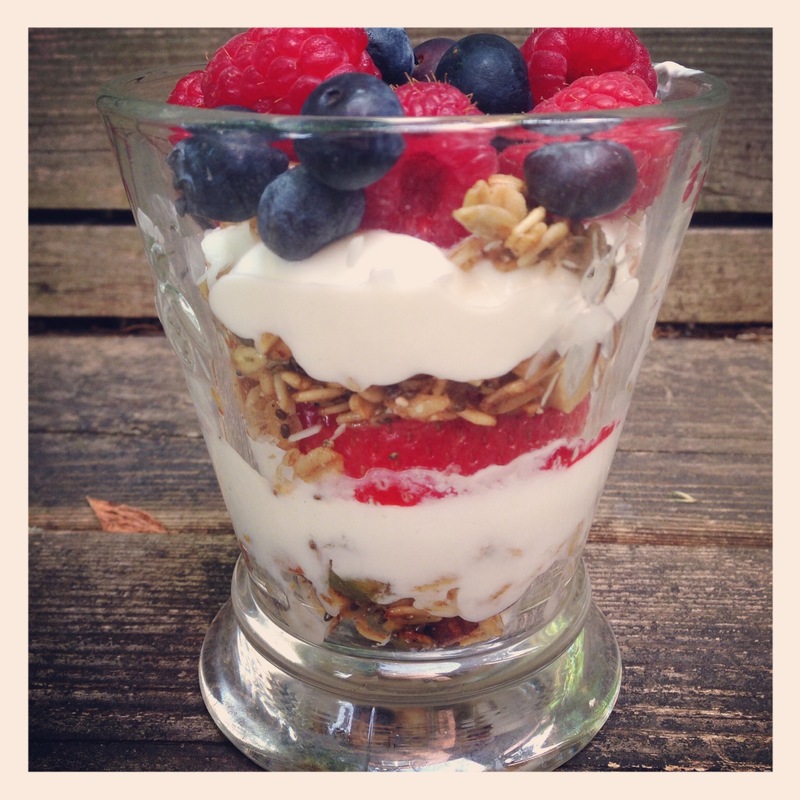 Eating homemade granola yogurt parfait with fresh seasonal berries on my back porch. Posted in Happiness is..., Products we ❤, Restaurants we ❤, Tummy love.